How can schools help students develop a mindset that will support perseverance and lead to long-term career success? 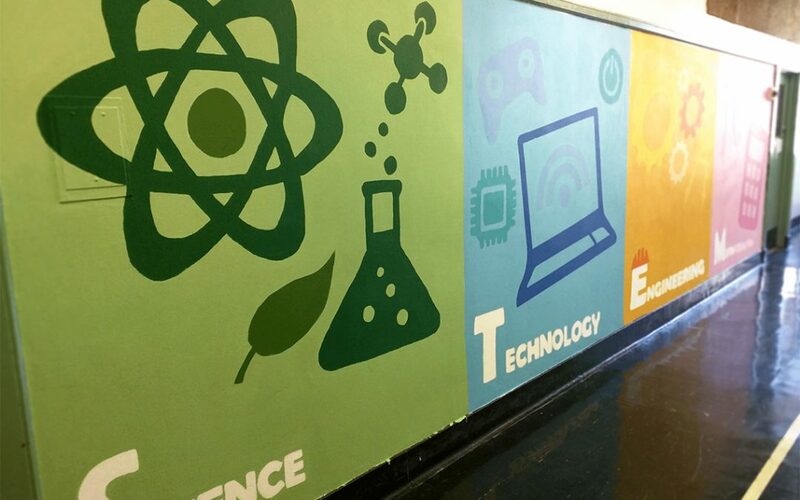 During the 2015–16 school year, the NYC Department of Education’s Office of Postsecondary Readiness (OPSR) partnered with Eskolta to launch the Career Competency Fellows program that brought together a select group of eleven educators from schools exhibiting a promising approach to career development for all students. In a series of monthly sessions, these educators learned about career-readiness research from a variety of national sources, interacted with visiting researchers from the City University of New York (CUNY), Harvard University, and Jobs for the Future, and shared their own promising practices to develop insights, resources, and tools. The program was grounded in the College and Career Readiness Domains developed by OPSR to serve as a road map for educators to help students work toward college and career readiness. These domains include: Academic Skills, Academic and Personal Behaviors, Academic Programming, and College and Career Access. 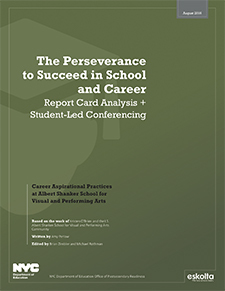 The Perseverance to Succeed in School and Career: Report Card Analysis & Student-Led Conferencing details the practices cultivated at I.S. 126 through the leadership of assistant principal and Career Competency Fellow Kristen O’Brien. In the fall of 2015, 72 percent of students at I.S. 126 Albert Shanker School for Visual and Performing Arts were performing below grade level. To address this gap, school leadership decided to help students build and genuinely internalize the belief that effort and the use of strategies will lead to success. They designed and adopted practices to help students develop their growth mindset—the sense that their abilities can grow with effort—to persevere not only in school but beyond. This case study follows the journey of two students as they engaged with these practices that instilled within them a newfound sense of ownership over their learning born of persisting through struggle.